Meals with this pasta are fun as children play with letters, skittles and other interesting figures. Pasta for children is made in small shapes so that the children can use the spoon on the food and enjoy it in combination with the sauce. 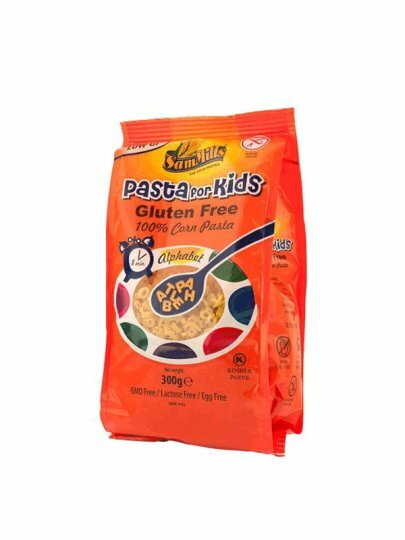 This pasta for kids is 100% natural, gluten-free, and a healthy alternative to wheat pasta - it is easier to digest and is very tasty! DO NOT contain gluten, wheat, dairy products, eggs, sugar, cholesterol, yeast, soy, sodium, nutty fruits. The product was not genetically modified.